What does all this teach? First, that the Sabbath observance, as an observance, began only with Moses. Secondly, this passage contains the first occurrence of both the word shabbat and the concept of the Sabbath as a day of rest, for the word was not used in the Book of Genesis. Only now is there a concept of rest on the Sabbath for man. Thirdly, it is here in the Hebrew text that the full form is found for the first time: shabbaton shabbat kodesh, meaning “a solemn rest, a holy sabbath,” “a sabbatical celebration .” The reason the full form is given is that it was not known before this time. Fourthly, in the Hebrew text, there is no definite article; grammatically, this implies that it was not known before this time. Fifth, the text literally states, “tomorrow is a rest of a holy sabbath.” Sixth, the specific command was not to gather manna on the Sabbath. The fact that so many disobeyed this rule implies that the people were not used to resting on the Sabbath day. To demonstrate the weakness of the second point Fruchtenbaum makes, if I were to suggest that since the word “Christian” doesn’t appear until Acts 11:26 that there were therefore no believers in Christ until that time, my argument would be considered unreasonable. Yet it would not be fundamentally different from the argument that Dr. Fruchtenbaum is trying to advance in his second and fourth points. Now, it IS true that the first time the noun “shabbat” appears in the bible is Exodus 16:23, but it is also true that its cognate–the word that it is derived from–appears in Genesis 2:3 as the verb “shabath” (rest); so, in this sense, “shabbat” does appear in Genesis 2:3 prior to Exodus 16:23. But more importantly, Exodus 20:11 uses Dr. Fruchtenbaum’s coveted noun “shabbat” to refer to the seventh day in Genesis 2:2-3. This means that the term “shabbat” WAS used during the first week in the book of Genesis despite the term not appearing in Genesis. Therefore, it is really misleading to suggest that Exodus 16:23 is “the first occurrence of both the word shabbat and the concept of the Sabbath as a day of rest.” Furthermore, this study of Exodus 16:23 & Exodus 20:11 clearly leads to the conclusion that that the inaugural usage of a term in the bible does not necessarily imply that it was previously unknown before that time. Fruchtenbaum’s third point argues that the reason the “full form” of the term “Shabbat” is now given (in Exodus 16) is because it was not known before that time. However, unless Dr. Fruchtenbaum knows the unrevealed mind of God, it is incumbent on the reader to conclude that he is employing an error in reasoning since his inference is unnecessary. In fact, it is sometimes instructive to reverse an arbitrary conclusion just to demonstrate that it’s converse is equally suitable. So, using Dr. Fruchtenbaum’s own form of reasoning, I could simply state that: the reason the “full form” of the term “shabbat” is now given is because it was definitely known before that time. The reader should remember that neither of us has yet to demonstrate why our conclusions must necessarily follow from a premise that merely acknowledges the bible’s inaugural use of the full form of the term “shabbat.” The reader should also consider that it was just previously shown that the inaugural use of a term does not always imply that the term was previously unknown before that time. The truth is, no one really knows why God choose to use the full form of the term “shabbat” at this point in the text, nor is it wise to go about generating unnecessary speculations about why the Author must have used certain words or phrases. In 1 Corinthians 2:11, the bible informs us that “no one can know God’s thoughts except God’s own Spirit”; we must therefore be wary of persons who claim to know why God used certain words in the bible especially when those persons do not present a logical argument that shows why their inference is necessary. In the previous section we were able to confidently assert that the term “shabbat” definitely preceded Exodus 16:23. So, when Exodus 20:11 offers Genesis 2:3 as the basis for the “full form” of the term “shabbat”, it helps the reader see how the “full form” of the term “shabbat” could have also preceded Exodus 16:23. It is left to the reader to decide whose explanation of “Shabbat’s” origin to trust. Meanwhile, Dr. Fruchtenbaum’s sixth point is again the logical fallacy commonly referred to as “asserting the consequent.” The form of this fallacy is: if P then Q, Q therefore P. The classic example of this fallacy says: (P) if it is raining then (Q) the streets are wet; (Q) now the streets are wet therefore (P) it must be raining. The reader should immediately understand that this argument is invalid because there are many other culprits for why streets become wet, therefore the consequent (i.e. that it must be raining) is unnecessary. Similarly, there are many other reasons that adequately account for why so many Israelites disobeyed the rule requiring them to rest on the seventh day. In fact, based upon their constant murmuring at the slightest inconvenience–despite the supernatural care God lavished upon them–and based upon God’s later assessment of their attitude and behavior (i.e. in Exodus 32:9 He calls them a “stiffnecked people”); we have good reasons to assert that their disobedience had little to do with the idea that they “were not used to resting on the Sabbath” but was instead the continuous by-product of a stubborn and rebellious people. In fact, when God says: “How long refuse ye to keep my commandments and my laws”, this rebuke implies that willful disobedience was quite common among the Israelites, and could even suggest that God had already been dealing with their neglecting to observe the Sabbath prior to Exodus 16. 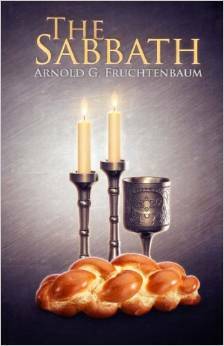 In summary, I have demonstrated that Exodus 16:23-30, contrary to Dr. Fruchtenbaum’s position, does not establish the beginning of the institution of the seventh day rest that is in this passage called the “Sabbath.” It does however provide us with a command from God to the Israelites that they should obey the seventh day rest; this command it tethered to Genesis 2:3 where its basis is found. Notwithstanding, the reader must remember that even if this passage WERE the inception of the seventh day rest, the fact that the Sabbath is part of the Decalogue–the foundation of God’s moral law to mankind–requires the most committed anti-sabbatarian to acknowledge its universal applicability to all men as also intimated in Mark 2:27. Moreover, all men will, during the millennial reign of Christ and for all eternity, observe the Sabbath according to verses like Ezekiel 46:1 & Isaiah 66:23; so those men that presently eschew or discount Sabbath observance must eventually come to grips with this truth from the Word of God.